In many ways, leaders’ success depends on their ability to help shape and uphold organizational culture. That’s a formidable task - and one that requires selflessness, conviction and strong character. First, be strategic and intentional about your leadership style. Like it or not, you’re a role model. Employees are watching how you speak and act. How you handle tough situations. What you believe in. And how you motivate others. When you are strategic and intentional about your leadership style, you can help to create an environment that produces highly enthusiastic employees that produce at peak levels. That’s the formal way of saying create a “team of believers” who genuinely buy in to the corporate vision and feel invested in achieving it. Your job as a leader is all about SALES. Doesn’t matter what business or industry you’re in. Your job as a manager and a culture cultivator is to sell your team on caring about the big picture. That can be difficult. It means making sure employees understand the vision. Not just traditional ones, but visions that shake up the status quo, start a revolution, or impact the community as a whole. Then make sure they understand how their individual jobs play a role in achieving the vision. In a winning culture, great leaders work to inspire teams to be 100% committed to perform for the cause. And don’t forget about having fun in the process. 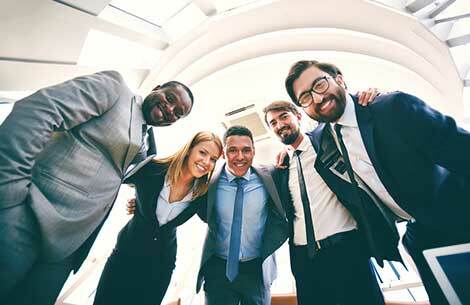 The best corporate cultures in the world are known for keeping employees engaged with a lively spirit and a sense of humor. Yes, the team had to work all night to solve a customer problem, but you can bet they’ll remember the hot donut delivery at 2 a.m. and the five-minute dance party. Third, make culture part of your operating and decision processes. Your standard operating procedures should reflect the vision and values of the company. If leaders want to create a culture that is customer-focused, they need to make sure their behaviors reflect that. Do they spend time in meetings discussing customer issues? Or visiting with customers on-site to better understand their challenges? The way they operate sends a message about what’s really important to the rest of the employees. The impact on culture should also be considered in major decision-making. Think about how your employees will feel about certain decisions and how will those change the way they view their jobs or even do them. Sometimes trimming a program from the budget looks like a smart option to save money at first glance. However, the negative impact on culture could be much more expensive if it means higher turnover, followed by increased costs for hiring and training. Successful leaders know how to expand their view from the financial ledgers to make decisions that build great cultures – and deliver superior results. Trust infiltrates every part of the work environment. It’s the centerpiece of a great culture. And the responsibility for creating that sense of trust lands on the shoulders of every leader. Among all the attributes of the greatest leaders of our time, one stands above the rest: they are all highly trusted. You can have a compelling vision, rock-solid strategy, excellent communication skills, innovative insight, and a skilled team. But if people don’t trust you, you will never get the results you want. Ask yourself some pointed questions about the level of trust in your organization. Are employees trusted to make decisions? Do they feel like their opinions are valued? Do they trust that their leaders will be consistent in evaluating their performance? Do they trust their leaders to be honest, authentic, and transparent? You CAN build trust and transform your culture, but it takes time. Work to create genuine relationships with those you lead. Be transparent by sharing your rationale and being open for feedback. Be consistent in your approach and what you support. And, above all else, keep your commitments to those you serve.